A month before these two jetted off to Croatia for their fabulous destination wedding we spent a gorgeous sunny afternoon in Bristol together. Sophie & James were pretty nervous about the prospect of having their photo taken at their upcoming wedding so we thought that a practice run in their favourite local places would be a great idea. Well what an awesome shoot it turned out to be as we wandered around Redland and Gloucester rd. 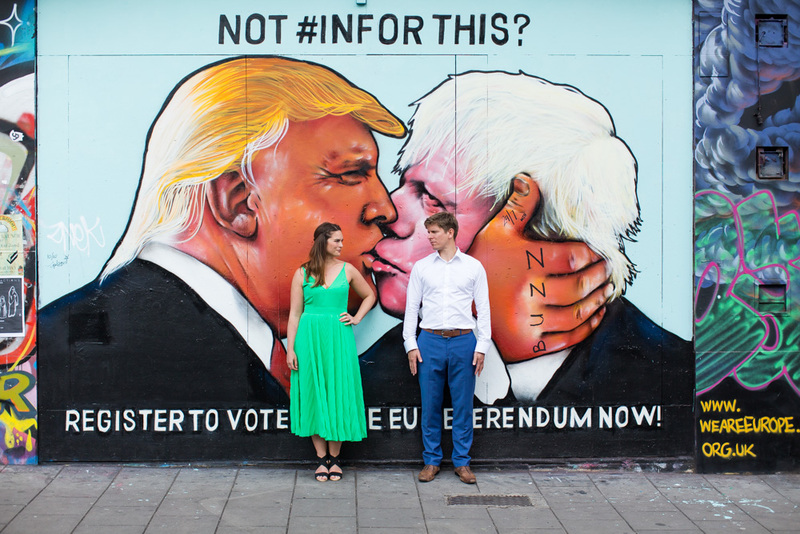 Here is just a glimpse of the shoot, but the highlights were the purple smoke bomb which was an absolute blast, beautiful Lover's Walk and the mural of Boris & Trump which was a unique but very Bristol location. It was the final shot of the day that turned out to be my absolute top moment. For those who know them well, and I am lucky enough to say that I do, they were clearly happy and relaxed in their natural environment, which was in a quiet sunny spot sharing a glass of bubbly.